GPM Inc, Headquartered in Duluth, MN makes use of SJF’s “Good-as-New” Cantilever Racks to store steel components (bar stock, pipes, etc.) GPM manufactures and distributes the toughest, most reliable submersible and horizontal slurry pumps found anywhere in the world…and they’re located right here in Northern MN – who knew? GPM called SJF because they were looking for a solution for organizing their extra building materials to get it off the ground and out of the way. 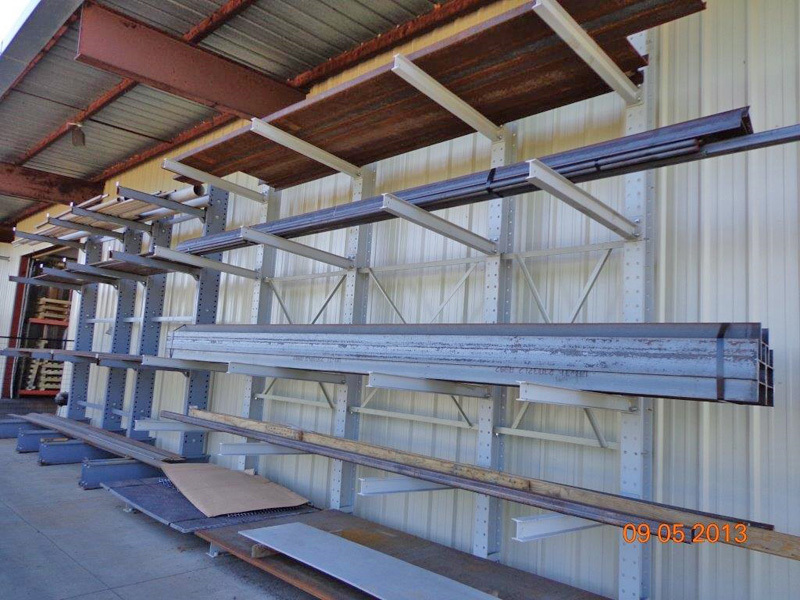 They evaluated both new and used cantilever racks. Rhonda (their SJF Salesperson) took pictures of the used Monarch cantilever racks that we had on-site and sent them to GPM. 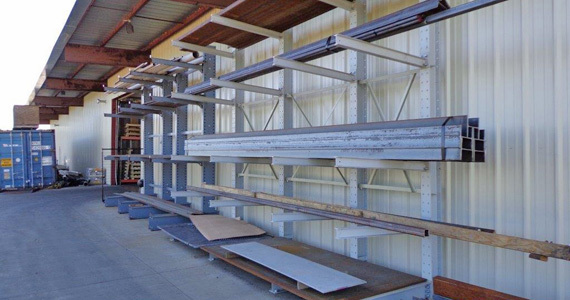 They liked what they saw, and were able to save around 40% off new prices on these used cantilever racks.